Accept any Big Bag type hung on a Big Bag holder (=Manubag) or put on a palett. The hopper enables to channel and direct the going down of the product. 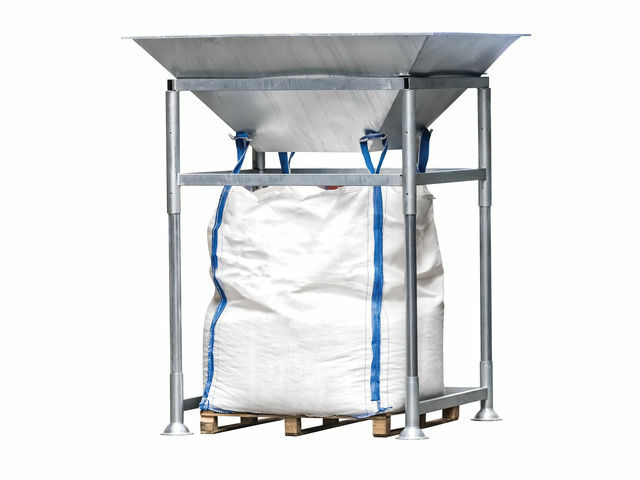 Specific filling systems for Big Bag on demand. No minimal quantity per order.